Isn’t this the carpenter? Isn’t this Mary’s Son and the brother of James, Joseph, Judas and Simon? Aren’t His sisters here with us?” And they took offence at Him. 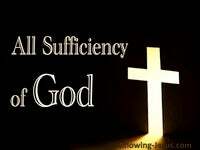 Jesus had to be like His brothers in every way, so that He could become a merciful and faithful high priest in service to God, to make propitiation for the sins of the people. 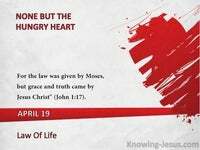 There has been much romantic nonsense written about the early life of the Lord Jesus, but Jesus lived a hard life and yet a simple life in the little despised village of Nazareth. There have been many false gospels written about the time that God in His wisdom chose to keep Jesus hidden from our view – with a few, thought-provoking exceptions. In the main God chose to veil our view of Jesus until the time of John the Baptist’s ministry, when Jesus started to walk in and out among the disciples of John. 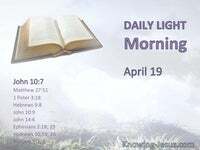 And yet there is much that we know of His character – His spirited zeal for the Lord – His love for the Scriptures of God and His humble dedication to His Father in heaven. 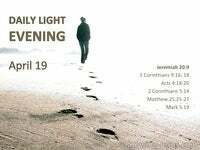 One thing that we do know is that the Lord Jesus spent His teenage and early adult life in submission to His parents and learning the trade of His adoptive Father – Joseph. Is not this the carpenter’s son? 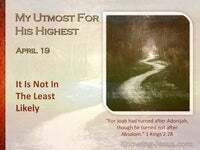 Was the derogatory cry when He went to His home town, and so we read that a prophet is not without honour except in his own town, and Jesus did not do many mighty works in His hometown, because of their unbelief. 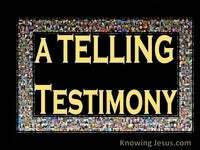 We also know that He not only had a whole bunch of younger brothers and sisters but that they also ridiculed Him and even accused the Lord of being out of His mind! Yet we also know that after His resurrection those same scoffing siblings worshipped their elder half-brother as their Lord and their God. And James and Jude, in their respective epistles, identified themselves: as servants of God and the Lord Jesus Christ. Perhaps one of glimpses we have of the Lord in His formative years was that of an industrious youth – a responsible son Who took on the trade of His earthly father. What condescension that the Lord of the universe should humble Himself under the authority of His parents, who were both fallen sinners and part of His vast creation. What an astonishing spectacle this must have been to the holy angels in heaven, who witnessed the great God of the vast universe toil in manual labour, day in and day out, at the carpenters bench.. with wood and with plane; with chisels and with compass. 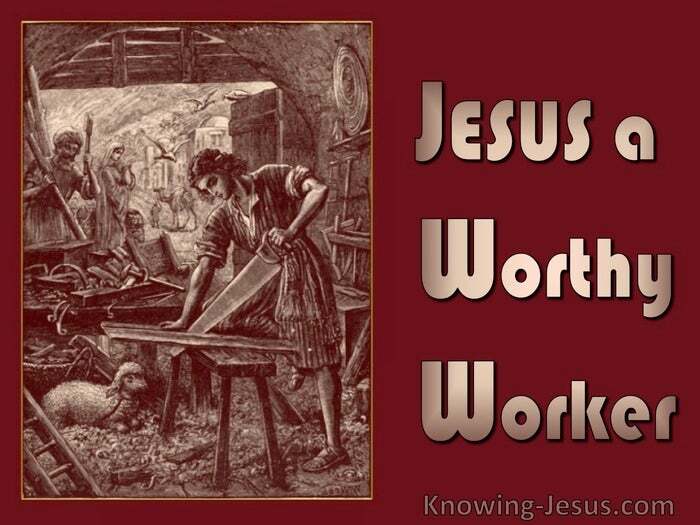 What encouragement to all of us, that our God and Saviour should Himself choose the take up the tools of a trade and work many weary hours for His crust of bread. His willing example doesn’t demean the kitchen sink or labourers toil, for His formative years demonstrate the worth of any lowly occupation…carried out to the glory of God. 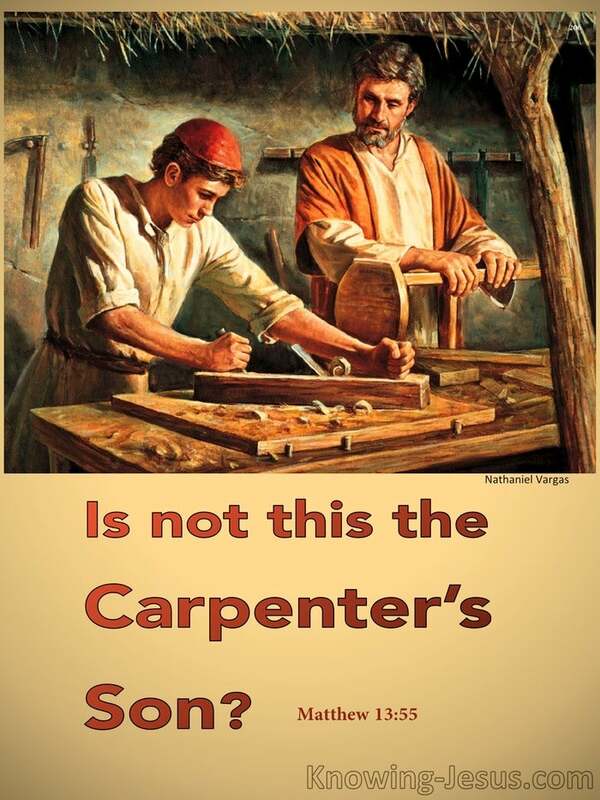 At the age of 12 Jesus had understood that He must be about His Father’s business – and His willingness to labour at the wooden bench of His earthly father demonstrates a determination to complete the eternal business.. of His heavenly Father’s calling. We read that Jesus set His face as a flint to go to the cross as the time drew near. But the young Jesus also set His face as a flint to carry out His Father’s work of salvation.. as demonstrated by the long years of willing service at the carpenter’s bench. No surprise we hear God’s voice 3 time proclaiming – THIS is my beloved Son. Jesus did this for you and He did this for me – so that He could be like His brothers sisters (US)…. He had to be made like them, fully human in every way, in order that He might become a merciful and faithful high priest in service to God, and that He might make atonement for the sins of the people.